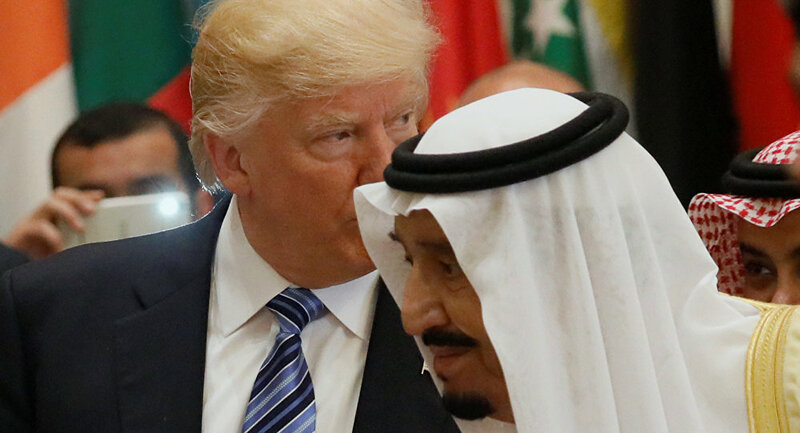 During a rally in Southaven, Mississippi the US president said that Saudi Arabia’s King Salman would not stay in power “for two weeks” without the support of the US military. Saudi Arabia is one of the closest allies of the US in the Middle East, however during his campaign rally before the November midterm elections Trump made suspect remarks about the nature of US-Saudi relations, Reuters reported. “We protect Saudi Arabia. Would you say they’re rich. And I love the King, King Salman. But I said ‘King — we’re protecting you — you might not be there for two weeks without us — you have to pay for your military,’” Trump told the cheering crowd of supporters. Trump did not mention when exactly he said these words to the Saudi King. The last time the two leaders spoke was on Saturday over the phone, discussing the efforts being made to maintain supplies to ensure oil market stability and global economic growth after the sanctions on Iranian oil took effect, the Saudi state news agency SPA reported. “We defend many of these nations for nothing, and then they take advantage of us by giving us high oil prices. Not good. We want them to stop raising prices, we want them to start lowering prices,” Trump said to the UN. Brent oil prices reached a four-year high last week. OPEC members reportedly discussed the possibility of a production increase of about 500,000 barrels per day, yet no official agreements on the matter have been released so far.